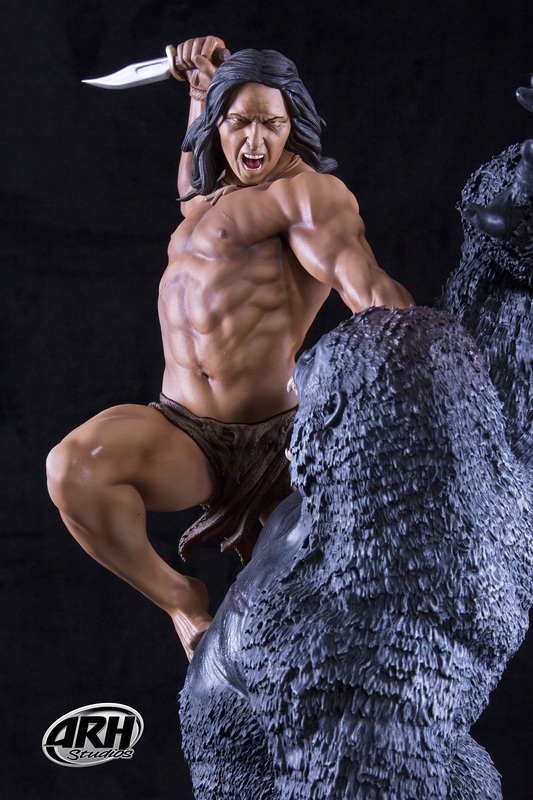 Tarzan is a fictional character, an archetypal feral child raised in the African jungles by the Mangani great apes; he later experiences civilization only to largely reject it and return to the wild as a heroic adventurer. 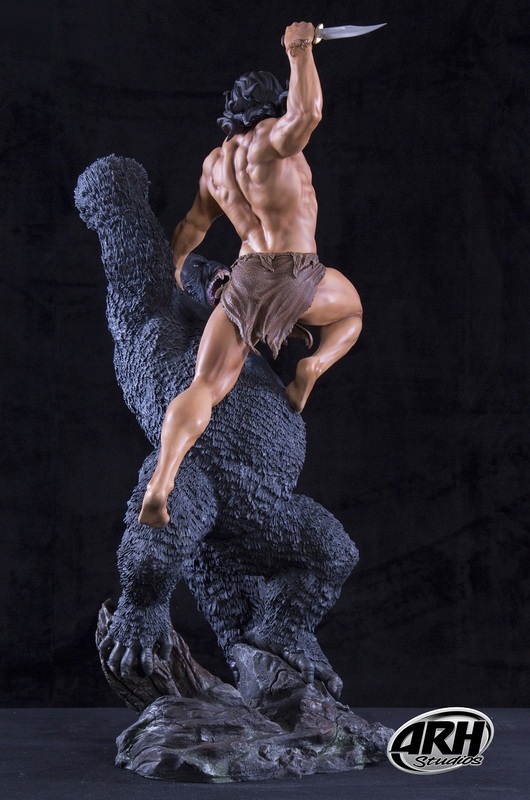 Created by Edgar Rice Burroughs, Tarzan first appeared in the novel Tarzan of the Apes. 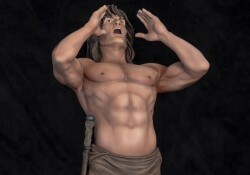 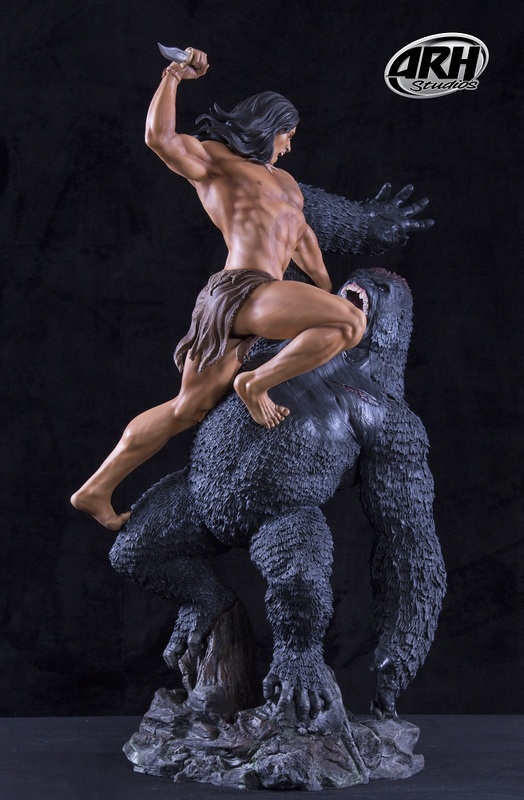 Tarzan is the son of a British lord and lady who were marooned on the Atlantic coast of Africa by mutineers. 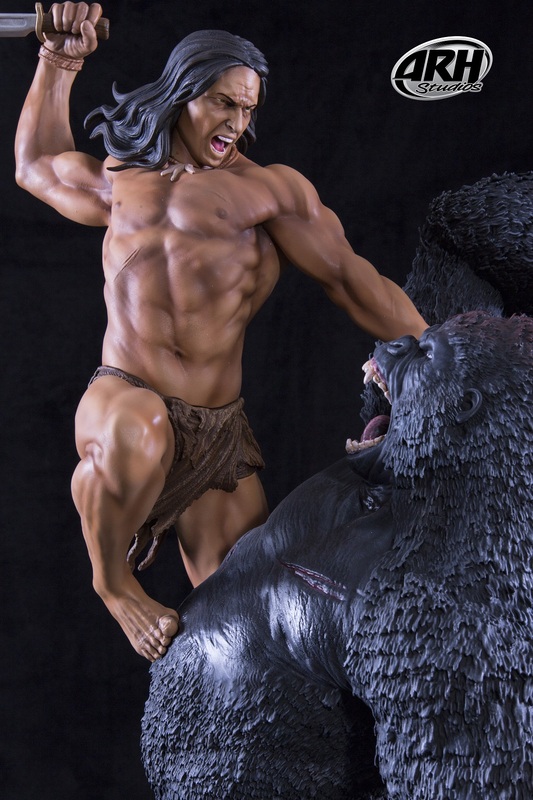 When Tarzan was only an infant, his mother died of natural causes and his father was killed by Kerchak, leader of the ape tribe by whom Tarzan was adopted. 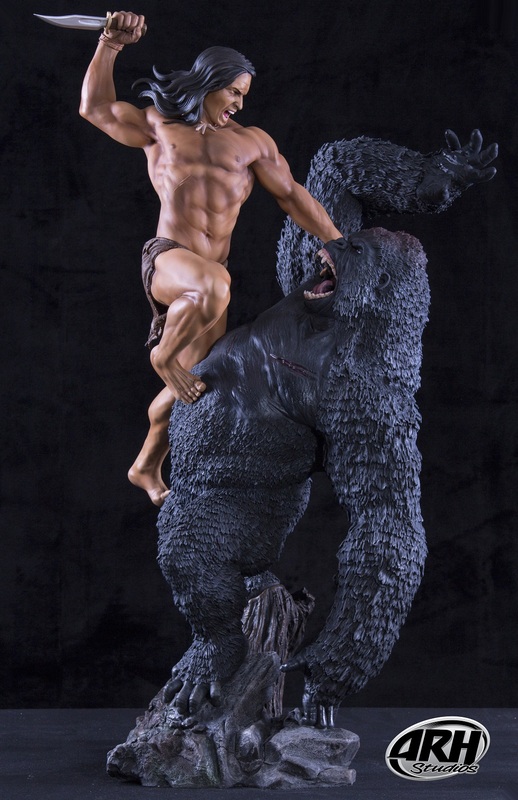 From then onwards, Tarzan became a feral child. Tarzan’s tribe of apes is known as the Mangani, Great Apes of a species unknown to science. 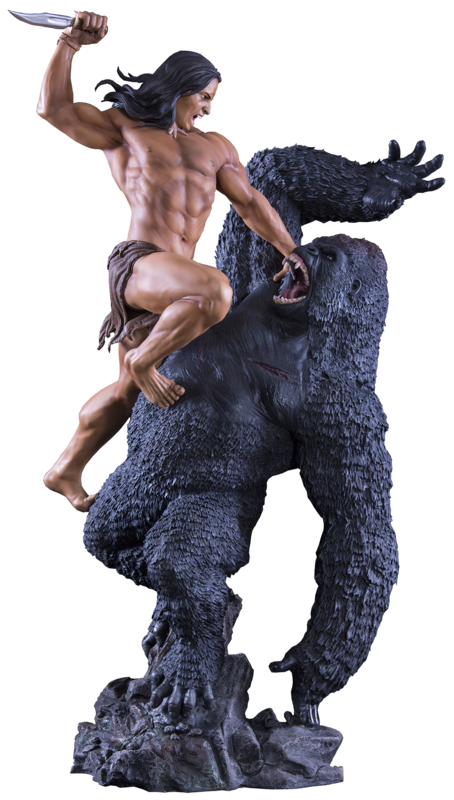 Kala is his ape mother. 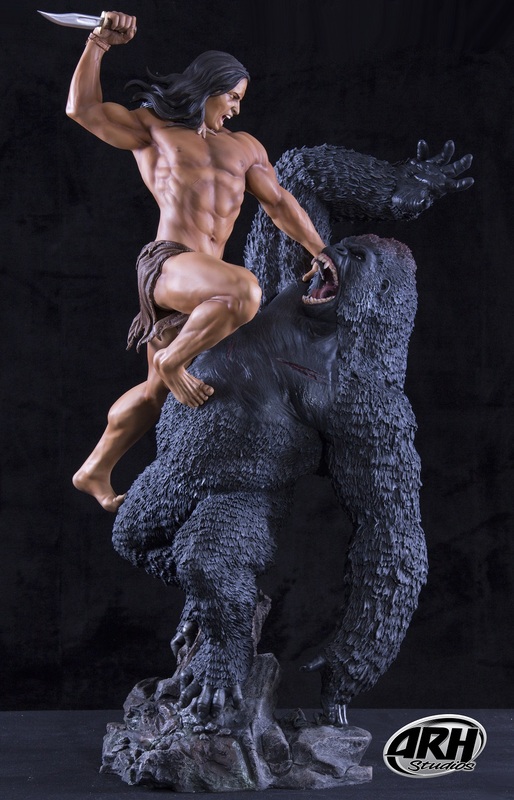 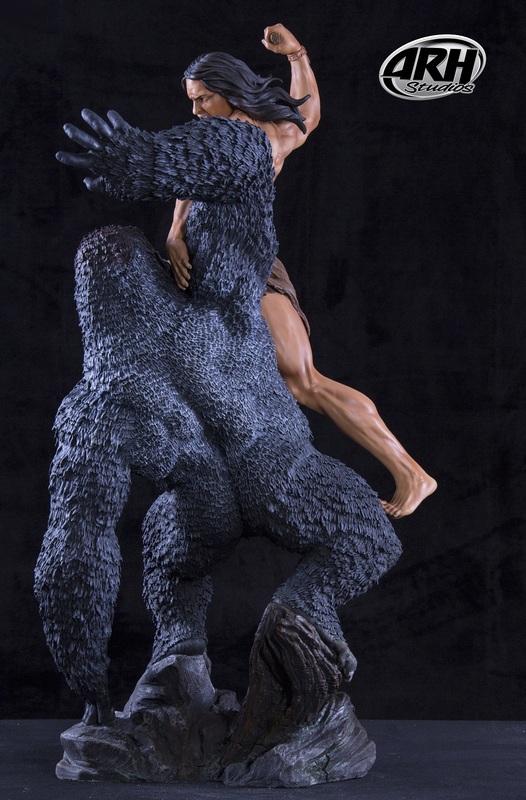 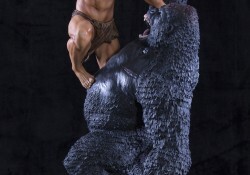 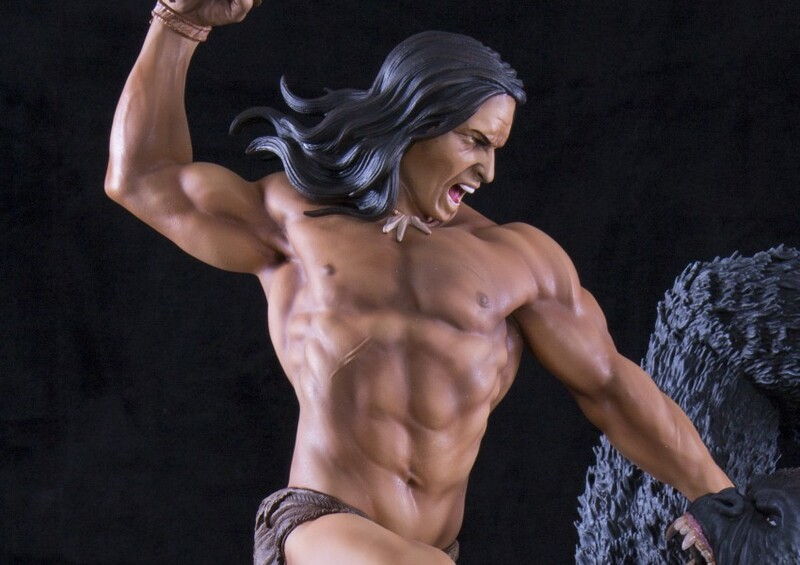 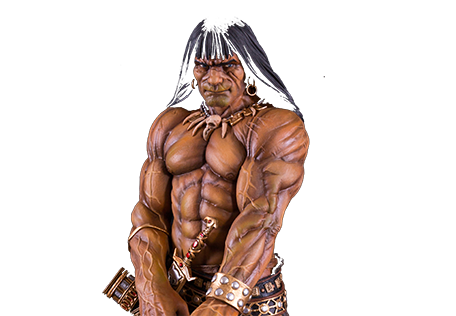 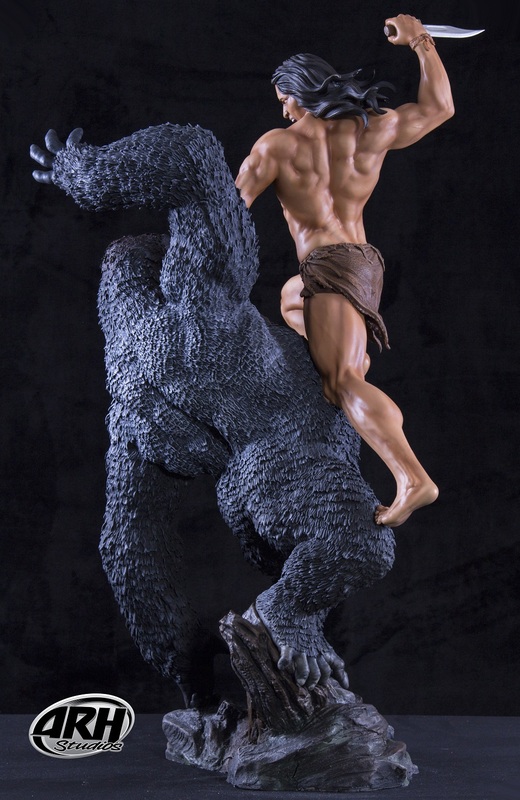 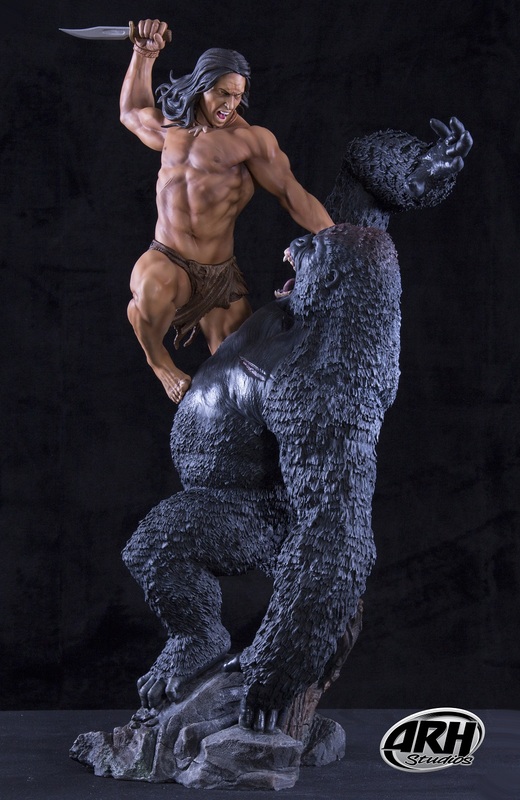 In this magnificent 1/4th scale Polystone statue sculpted by Alex Pereira and Ehren Bienert you have a great depiction of this great legend in a primal battle with a gorilla.